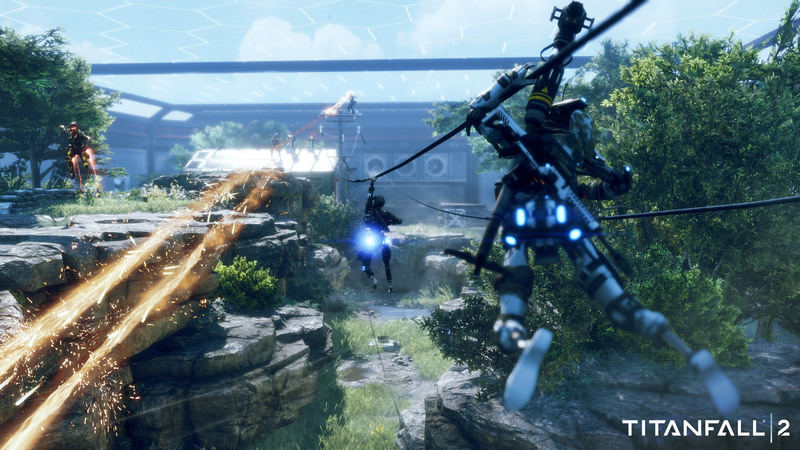 Titanfall 2 is soon going to receive a new DLC pack including new content and features, but Respawn recently confirmed that something will also be coming for future Xbox One X owners. In a fresh post on the Titanfall 2 Official Website, Respawn confirmed that Xbox One X support will be coming in the future, introducing 4K Resolution and Dynamic Super Scaling. Titanfall 2 will support Xbox One X. This means 4K resolution for increased fidelity as well as support for dynamic super scaling. As already mentioned, Respawn also detailed the game’s upcoming new DLC pack, which will release on June 27th. Map: War Games – Pilots on the Frontier frequently use simulator pods to train, using life-like recreations of historical battles as combat scenarios. War Games highlights the civilian shops, tall buildings for window-to-window fighting, and city streets for Titan combat from the Battle of Angel City, and the large, open tank garage facilities for hand-to-hand Pilot combat from the Battle of Airbase Sierra. The outskirts of the map feature a clean, VR style perfect for Titan duels, while Pilots are often found running along the bright, interconnected wallrunning routes. Live Fire Map: Traffic –A weathered test site where pilot positioning is pitted against mobility across two busy thoroughfares. Dense cover makes every corner a threat, with room for snipers to hide in the back fields. Get 20 pilot kills while a holopilot ability is active (Both normal holopilot and boost ability holopilot nova count.) Does not retroactively count. 3rd Weapon Slot for Pilots – You will now be able to equip a primary, secondary, and anti-titan weapon. Titan Brawl will be added to the permanent list of game modes. Titan damage will be displayed instead of assists. Additional details for balance changes, features, and updates will be provided in the patch notes closer to launch. Titanfall 2 is now out on PC, PlayStation 4 and Xbox One.